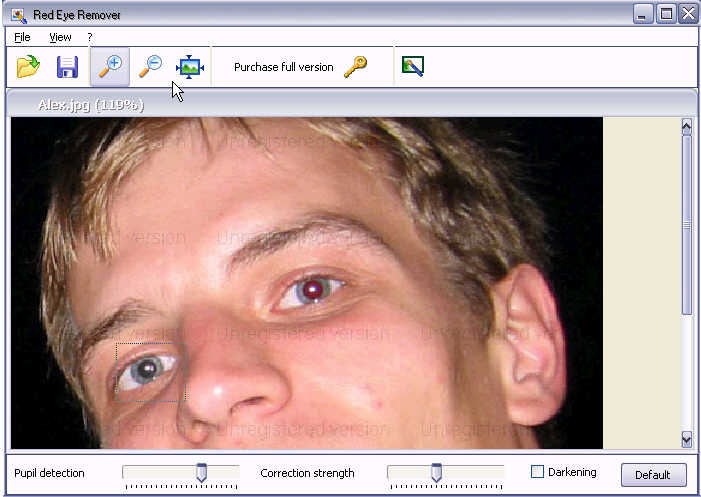 A powerful and handy photo-correcting program, which removes the "redeye" It able to detect a red pupil from the rectangular area, which you specify! Red Eye Remover is a powerful and handy photo-correcting program that can remove a common "red-eye" effect from your images in an almost automatic mode. It can load and save jpg, bmp. 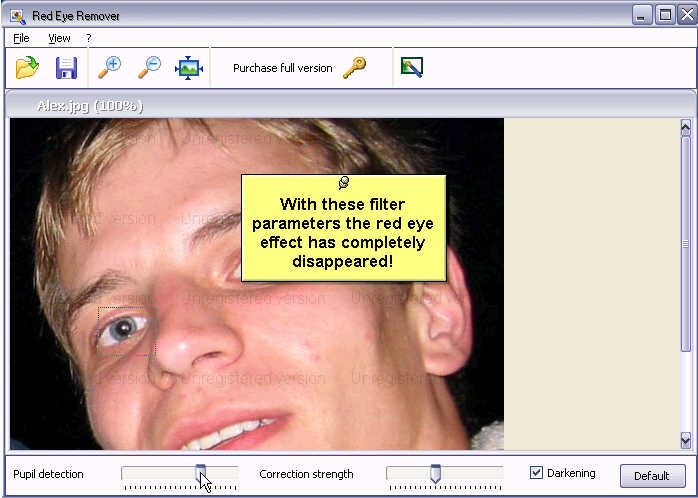 Red Eye Remover is the most advanced redeye-correction tool available on the market today. Using the advanced science-intensive technology, Red Eye Remover program is able to detect a red pupil from the rectangular area, which you specify. The pupil is instantly corrected. So, everything you need to do is to simply specify a rectangular area around the eye. Load and save JPG BMP image files. Interface Features: MDI interface and Skins. Red Eye Remover is the most advanced redeye-correction tool available on the market today !